When we last looked in on how airport passengers are coping with clogged terminals and security bottlenecks, people were pretty steamed. TSA checkpoints were bogged down and #iHatetheWait was flooding social media with pictures of long lines and grumpy travelers. That was summer 2016, and unfortunately, things don’t appear to have gotten much better since then. Passengers are clamoring for new solutions to make their trips less of a slog. When it comes to speeding up security lines, there’s not that much airports can do—that’s in the TSA’s hands. Airports can, however, do a lot to streamline the passenger journey from home or office to the eventual departure gate by making the most of that constant traveler companion: the smartphone. Learn more in this on-demand webinar: Mobile at the Intersection of Hardware and Software. Mobile devices offer a combination of features and functionality uniquely suited for solving traffic problems—and reducing passenger stress—in airport terminals. The location technologies built into every smartphone and tablet can pinpoint the device in relation to the world around it. Notification features can communicate directly to the device user in real time and in very personal ways. Interactions with location services and notifications generate unique contextual data the airport can use to optimize marketing or operations. Let’s explore how these use cases can make airport apps a valuable traveling companion—and business tool. Research firm Frost & Sullivan’s Strengthening the Airport Value Proposition white paper examines digital transformation in the airport industry and suggests that advanced IT solutions should play a stronger role in the value airports offer to both passengers and airlines. While numerous technologies support the air transport business, it makes sense for airports to focus on laying the groundwork for a robust mobile strategy in today’s increasingly mobile-first world. Wayfinding and passenger traffic management are logical first use cases, addressing real operational and passenger experience challenges in tangible ways. In 2018, wayfinding is about so much more than signage pointing to gates, shops and restrooms. It’s about creating an in-terminal experience that maximizes non-aeronautical revenue and improves the passenger experience. 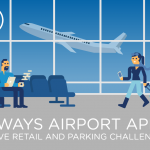 An airport mobile app can give travelers an optimized route from home or office to the airport, help them find an open parking spot and show them the fastest possible route through the terminal to their departure gate. A passenger opens the airport mobile app and selects the navigation option with optional parking assistance. Back-end systems launch the smartphone’s mapping tools to provide turn-by-turn navigation to the airport. At the airport entrance, a push notification welcomes the passenger while the mobile platform (integrated with the on-site parking management system) provides information about the closest open parking spot. From the parking lot, the passenger is guided to the nearest airport entrance. Once in the terminal, the passenger uses mobile wayfinding (enabled by beacons, Wi-Fi or even smart lighting) to find the appropriate security line and her gate. On the way, she can choose her favorite coffee shop or bookstore from a list of terminal amenities in the airport app and route seamlessly to grab a latté or magazine. This passenger journey may seem futuristic, but it’s not. Nearly 60% of travelers surveyed in SITA’s Passenger IT Trends Survey 2017 said they’d definitely use mobile wayfinding if airports offered it, and another 34% said they might use it. 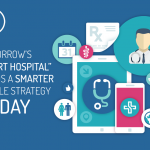 SITA’s Air Transport IT Trends Insights 2017 report found that 74% of airports are investing resources in research and development and/or major programs around interactive navigation and wayfinding solutions over the next three years, and 80% are investing in Internet of Things initiatives like beacons and sensors. It’s a great time to get on board! 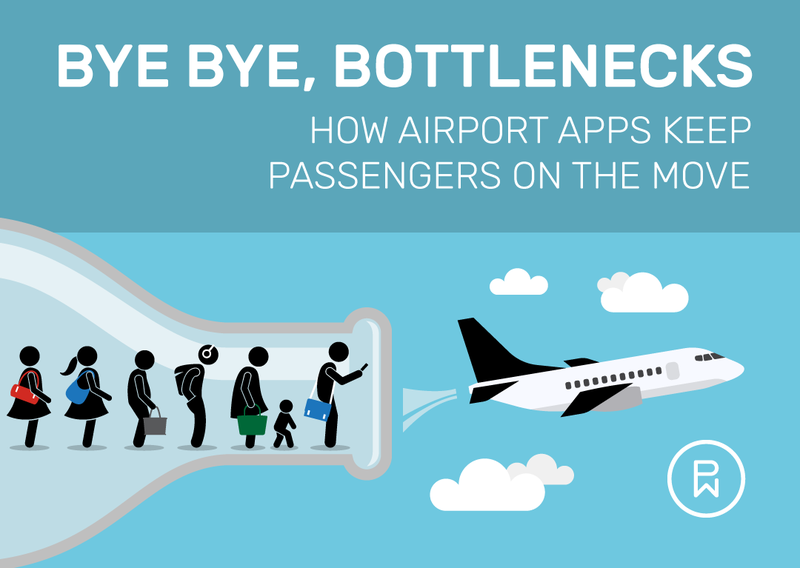 Airport apps aren’t just about in-terminal navigation or flight information. Today’s consumers are sophisticated and mobile-first. Their demands will never stop pushing the limits of brands’ creativity—everyone from entertainment companies to retailers to airports is trying to find a way to stay relevant and keep up with the breakneck pace of technological change. For an airport, a mobile app can become the hub of brand identity, with the ability to scale and accommodate new use cases as technology advances (and provide serious business benefits). Analytics from passengers using airport apps and interacting with location hardware (be it Wi-Fi, physical or virtual Bluetooth beacons or even smart LED lights) can provide powerful insights for improving airport traffic flow, amenity placement, marketing strategies and other operations. The same data that tells passengers which security checkpoint is least crowded can be used to help airport managers understand opportunities to improve terminal traffic flow or drive more traffic to retailers and concessionaires. The point is that mobile apps aren’t gimmicks or even nice-to-have any more. They are versatile platforms for engaging customers, creating brand experiences, improving efficiency and deriving insight. Businesses of all kinds (including airports) are trying to enact digital transformation so they can innovate and remain nimble for the future. Mobile is an increasingly important and valuable part of those digital transformation efforts. Want to learn more about mobile-first digital transformation? 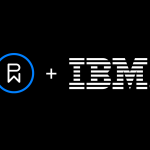 Check out this on-demand webinar: Mobile at the Intersection of Hardware and Software. Rajesh is a product management geek and a born-again engineer who enjoys fusing hardware and software to create solutions. 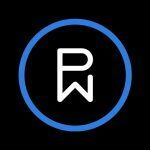 When he previously worked at Phunware, he drove strategy for all location-based services products and strove to create solutions that enhance both user experience and operational workflows. In his spare time, he enjoys music, dancing and every moment spent with family.